You might be surprised that it has any positive effects, but anthropogenic Nitrogen has been boosting the nutrients for sugar maples in Michigan. But these benefits are likely to be lost in the future due to rising CO2 concentrations. 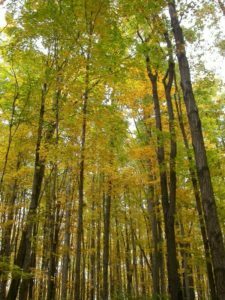 Though Michigan’s sugar maples Acer saccharum benefit from the growth-promoting effects of nitrogen compounds in the environment, those gains will not fully offset the added stresses of growing under a drier climate in the future, according to a new University of Michigan-led study. Fall foliage in a Michigan northern hardwood forest. This site is located in Wexford County, Michigan, and was part of a U-M-led study examining how nitrogen deposition and a changing climate affect the growth of sugar maples. Photo by Rima Upchurch. 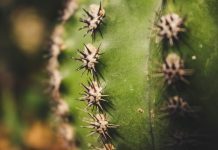 Climate scientists and forest ecologists have long wondered whether the fertilizing effects of human-derived nitrogen would be enough to offset added stresses produced by a warmer, drier climate. It’s a difficult question to answer, and previous studies produced contradictory results. In the coming decades, Michiganders should expect decreased growth of sugar maples across the state, according to the study. And if the most extreme climate predictions for the region prove true, sugar maples will eventually–over a period of centuries–disappear from the state’s Lower Peninsula altogether. “The added nitrogen helps a little bit, but not enough,” said U-M forest ecologist Inés Ibáñez, lead author of the study. “Under extreme climate scenarios, the increase in nitrogen won’t be able to compensate for decreased growth of sugar maples due to lack of water,” said Ibáñez. Understanding how various tree species will respond to warmer and drier conditions is essential for producing accurate forecasts of future forest growth. And that’s important to know because the world’s forests remove about one-quarter of the heat-trapping carbon dioxide emitted into the atmosphere annually through the burning of fossil fuels. If forest growth slows in response to climate stresses, then those trees will remove less carbon dioxide, which will exacerbate the warming problem. And northern forests around the world are especially important carbon “sinks,” removing huge amounts from the air and storing it in tree wood and forest soils. “The majority of carbon stored on land is in forests,” said U-M forest ecologist and study co-author Donald Zak. “And how forests grow in the future will influence the amount of human-derived carbon dioxide that remains in the atmosphere. 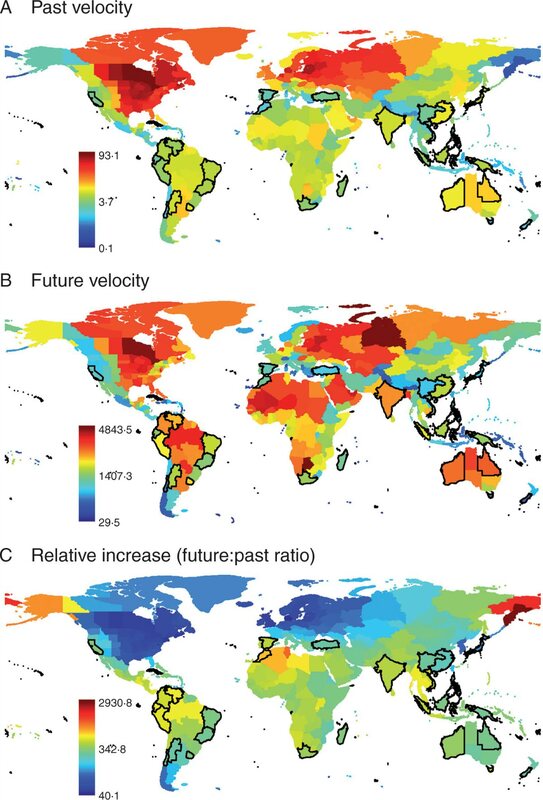 That, in turn, will have a feedback effect on global temperatures. 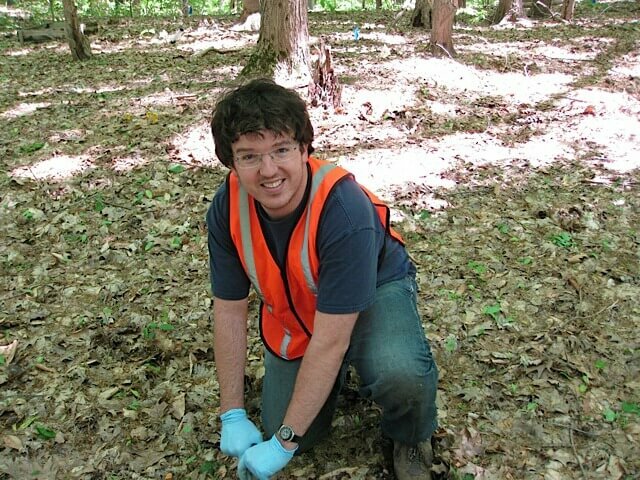 Former University of Michigan postdoctoral research fellow Zac Freedman collects a soil sample at a study site in Oceana County, Michigan. This location is one of four Michigan study sites used in a U-M-led study examining how nitrogen deposition and a changing climate affect the growth of sugar maples. Photo by Rima Upchurch. The four sites are separated by 300 miles and span the north-to-south distribution of northern hardwood forests, from the west-central Lower Peninsula to the northwestern Upper Peninsula. 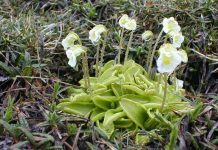 The Michigan Gradient Study was established in 1987 to examine the effects of climate and atmospheric deposition on forest growth and ecosystem processes in the Great Lakes region. Zak is one of the project’s principal investigators. 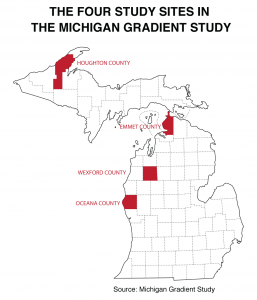 The four study sites in the Michigan Gradient Study. 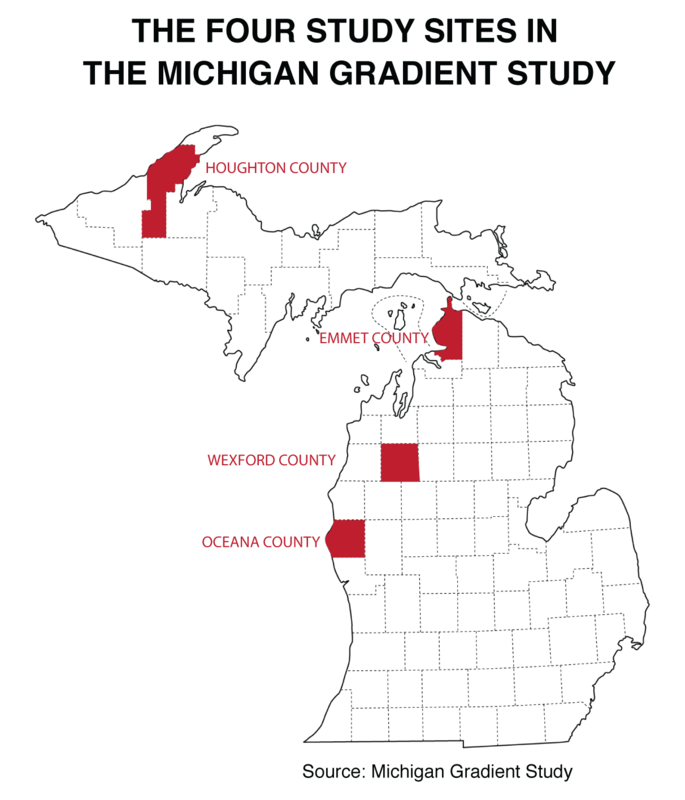 Source: Michigan Gradient Study. 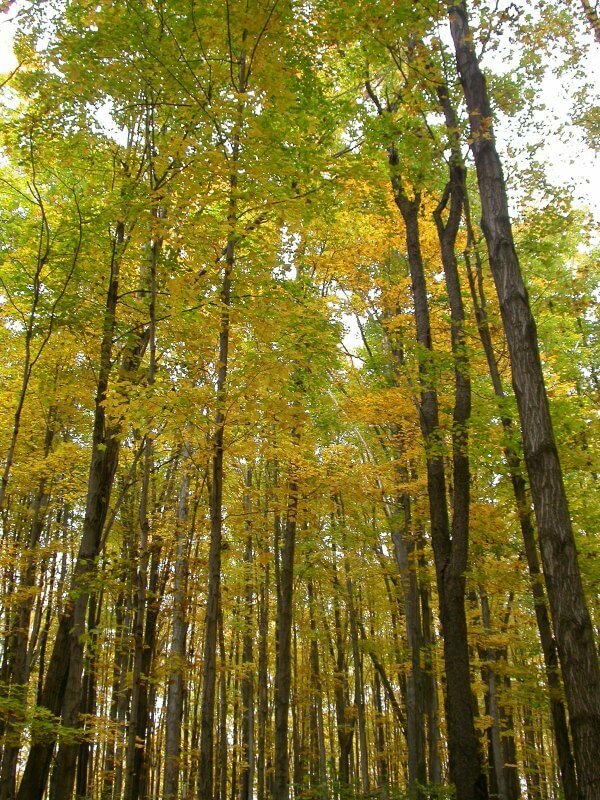 The vast scope of the Michigan Gradient Study, its unusual experimental design, and new statistical tools enabled the researchers to separate the effects of human-derived nitrogen on tree growth from those associated with temperature and water limitation–something previous studies could not do, Zak said. 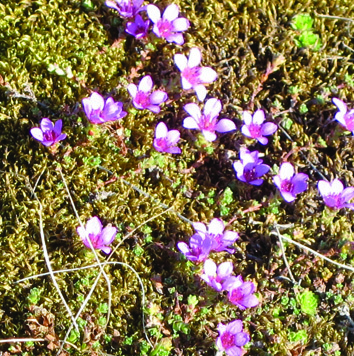 The computer simulations showed that sugar maple growth would be slightly harmed under Scenario One, especially at the warmer southern sites. 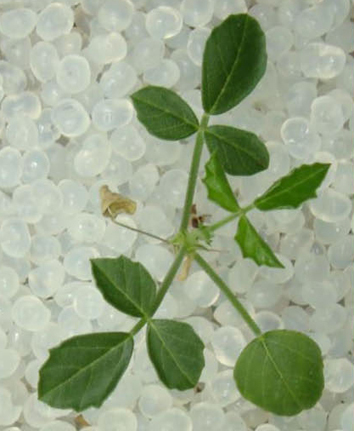 Results for Scenario Two showed a large and consistently significant decrease in growth for sugar maples at all four sites and for all plots–those treated with the nitrogen fertilizer as well as untreated plots. Threefold decreases in growth rates are possible under Scenario Two conditions. Under Scenario Two, sugar maples would eventually disappear from Michigan’s Lower Peninsula, though the changes would likely occur over several centuries, Ibáñez said. If that happens, the sugar maple and beech-dominated northern hardwood forest might be replaced by oak-hickory forest, which is better adapted to droughty conditions but which doesn’t remove as much carbon from the atmosphere. 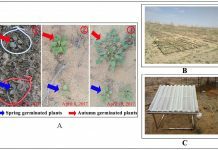 This appears to agree with another recent study of white spruce (Picea glauca) that showed moderate thermal acclimation of respiration but no evidence for thermal acclimation of photosynthesis or local genetic adaptation for traits related to thermal acclimation.